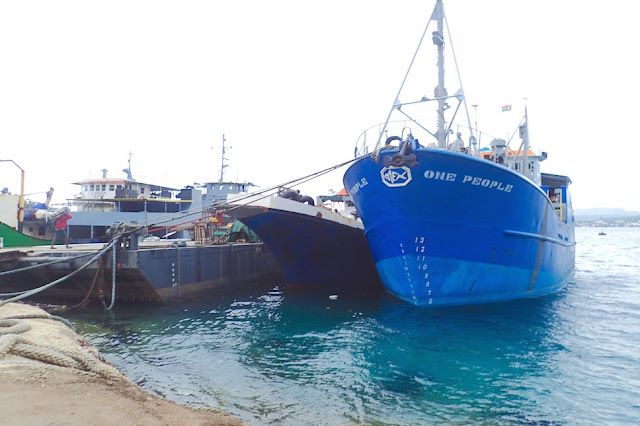 At last, cheap conch! Only catching it myself would be cheaper. 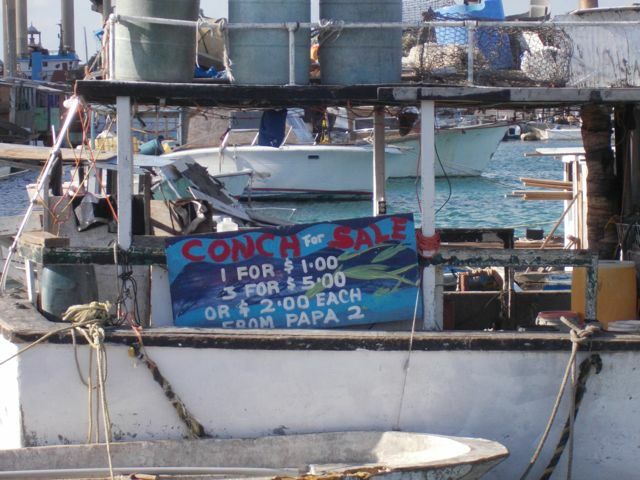 Okay, I didn’t get it before, why conch, pronounced “konk,” that mollusk on steroids was practically a religion in the Caribbean. Sure, they’re big, pretty shells, supposedly pretty easy to catch. The first conch I tried was like escargot – anything with enough garlicky butter is good. 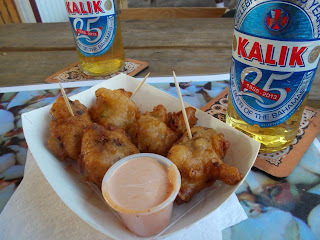 But, it tasted a lot like chicken, but expensive chicken, and I’m cheap (click here for my initial underwhelming conch experience). 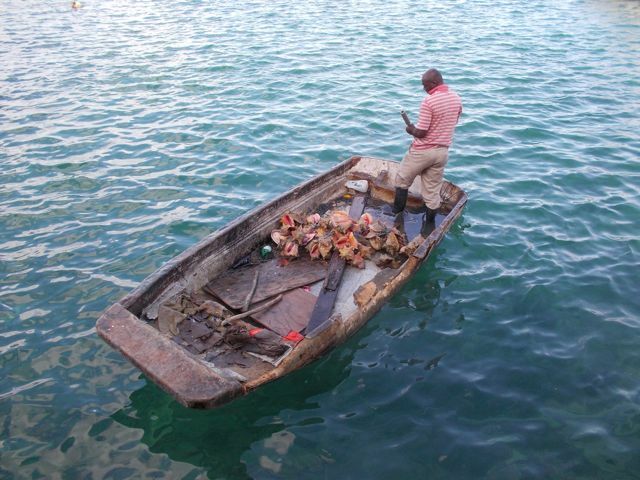 Watched these conch get pulled up right outside the restaurant. Then came Potter’s Cay Nassau; where fresh conch salad reigns supreme. It’s about as fresh as conch comes, short of catching it yourself and serving it up right away. There, you can watch the fishermen bring in their catch, clean it while you watch, then the cooks, too often prep the salad in an open area, viewable. View it I did, as next year, my goal is to catch, prep and cook my own conch in the Bahamas. I am now inspired! 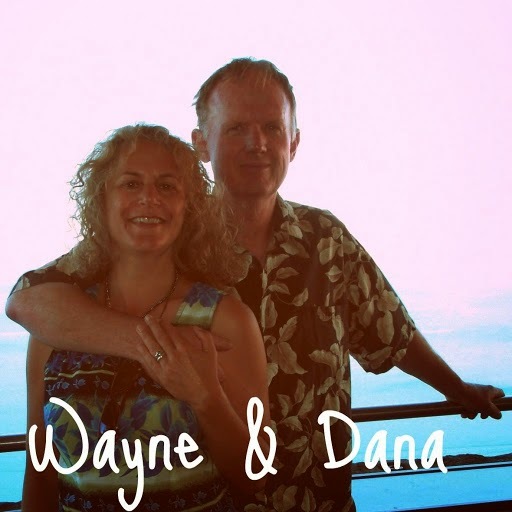 It was beautiful to watch…. Extracted conch, ready for salad prep. 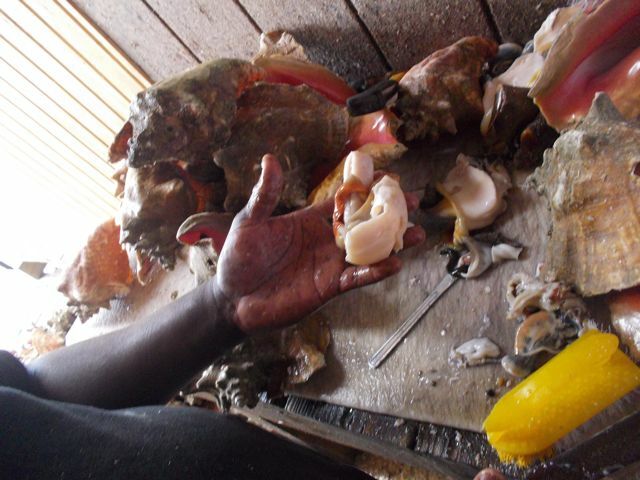 The conch are extracted by a quick jab with a pick between the ridges near the top of the shell. Then a butter knife is slid into the shell to break the conch’s hold to its shell, then pulled out. Trimming the conch to get the good bits, discarding the rest is the tricky part. 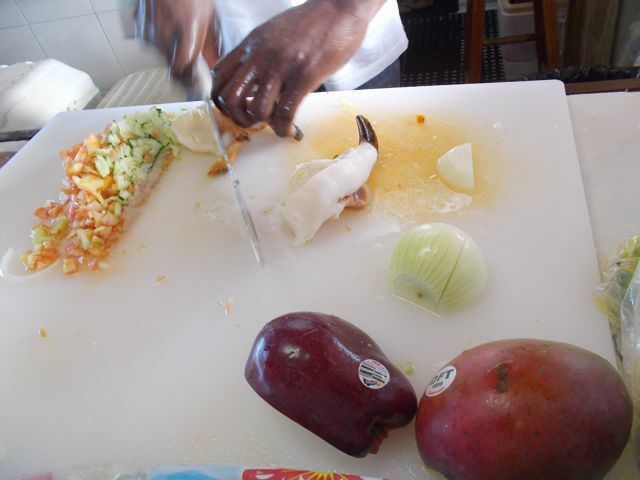 For the salad, the conch is then scored, to better absorb all the yummy succulent juices that follow…. Lime juice, orange juice, chopped onions, tomato, peppers mango, and sometimes other fresh fruits and veg, like apple, pineapple, celery, cucumber…. I opted for the “scorched” salads, which came with habenero as well as bell peppers. Basically, it’s a mollusk ceviche. salad, before it is chopped. After several weeks without fresh produce, conch salad was my manna. I ate it four days in a row. I’d have had more, if only we were there longer. 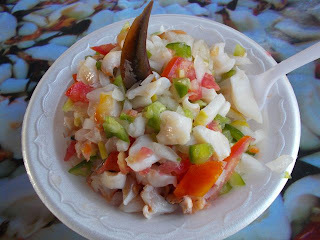 My first conch salad, before my first ambrosiac bite…. a reasonable $10 for a totally satisfying meal. a fresh conch salad any day! Or, every day. 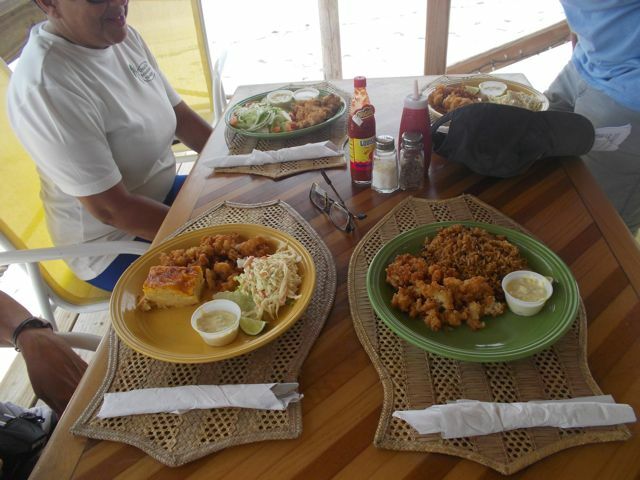 and very good, but still 2nd fiddle to conch salad for me. Oh man, I don't know if I'll be able to bring myself to eat things like that...its basicaly a sea snail! Hmm but just maybe...I hope I'll be brave enough!